Flatter feminine curves in the slim-fit Selene Pant from Descente. With an adjustable waist, back pockets and a stretch liner, it's got plenty of features to keep you happy on the hill. And with a four-way stretch fabric build and a 20K waterproofing/breathability rating, this pant is ready to ride as hard as you do all winter long. 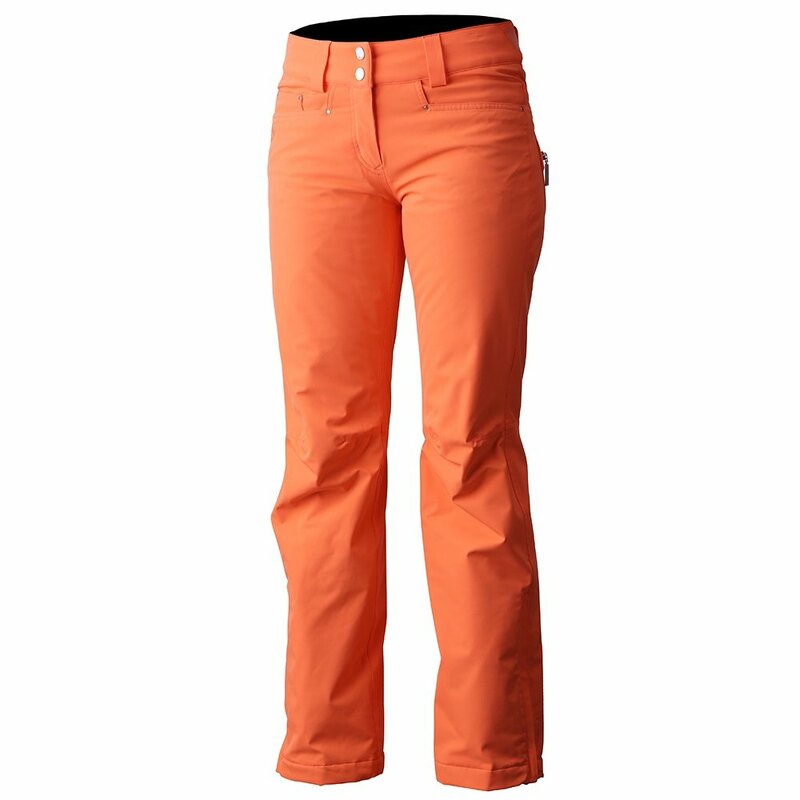 The Selene pant also offers 40G Thinsulate insulation, making it a perfect choice for wearing alone on spring days or wearing over a base layer on chilly winter ski weekends. 20K waterproofing/breathability rating is the highest protection available from Descente. Slim fit flatters feminine curves. 40G Thinsulate insulation is a great choice for spring days, or add a base layer for mid-winter wear. "Hi! Does the color Dark night corresponds to a Dark Blue o is it more like Black? Thanks"
"The Descente Selene Pant in the color dark night is a Dark navy blue. We hope this information helps."